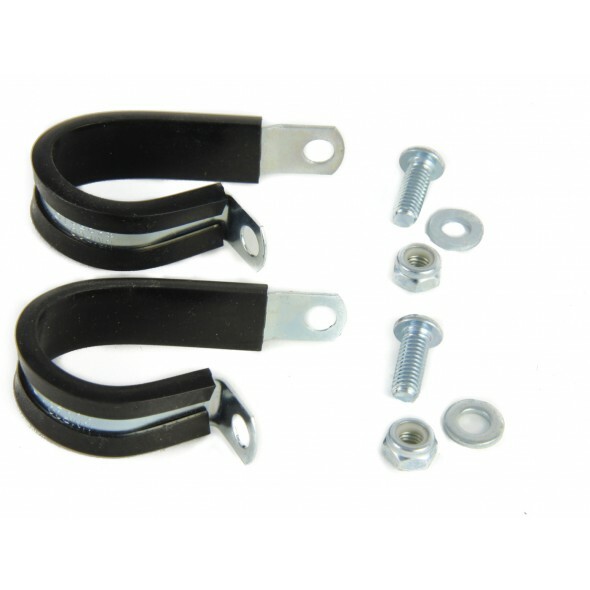 OMM bands clamps are used when mounting a rack on a bike that doesn't have brake bosses (road bikes and mountain bikes with suspension and/or disc brakes). The clamps wrap around the seat stays just at rim level to provide an attachment point for the rack. The clamps are available in many different sizes so it is important to measure the circumference of the seat stays and use the chart below to determine the best size option for your bike. To measure the circumference, simply wrap a piece of string around the seat stay at rim level and then measure the length that was needed to go all the way around where the string overlaps. You can determine the proper size clamps with the chart below.